What a wonderful pre-Christmas weekend we had. We started this weekend by attending a performance of our town's Singing Christmas Tree, my daughter is in the high school concert choir, and they did an amazing job. The whole event was great, and we heard some beautiful music from all of the different choirs around town. My husband was hard at work with the Singing Christmas Tree Committee this year, and they built a really great set, the tree was set among snowy mountains. Sarah did four performances with her choir, such a fun Christmas tradition. They always end the night with a mass choir singing of The Hallelujah Chorus, I tried to get a clip of it, but my camera's sound does it no justice. Such a beautiful song, I look forward to it every year. With the Singing Christmas Tree over, today I decided to put on a nice pot of Chicken Soup, and get ready to put up the tree. 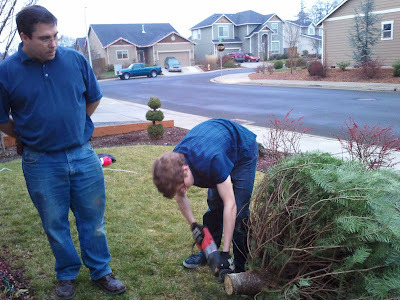 The state of Oregon grows the most Christmas trees in the United States, and we live in Clackamas County, the county that grows the most tress in Oregon - so we are surrounded by fields of Christmas trees. 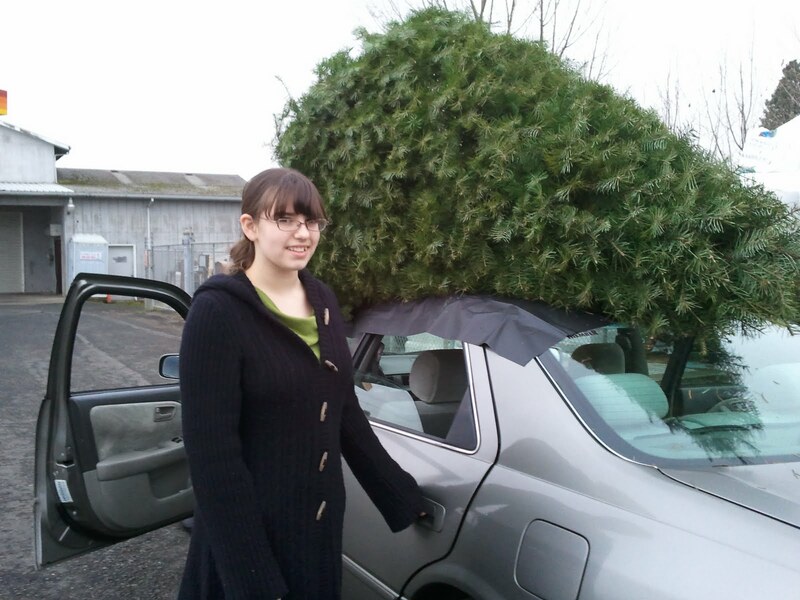 We chose to buy our tree this year right from the farmer who grew the tree and cut it down. We met this tree farmer last year, and he sells his trees next to the feed store right here in town. I love supporting local growers, he knew the day he cut the tree down and was even talking to us about how he grows them. We get a Douglas Fir every year. 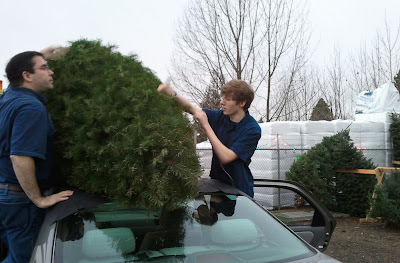 Here in town, buying right from the growers, our 7 foot tree was only $10.00. Wonderful price for such a pretty tree! 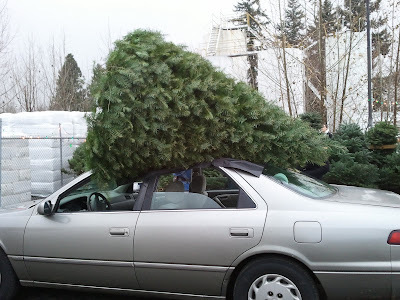 With a little help, the guys got it on the top of our little Camry, we joked that it looked like the Griswold Family Christmas Tree. 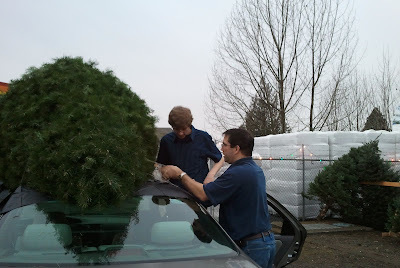 Gary taught Joseph the fine art of tying a Tree to the roof of a car, with all the clever knot tying and everything. We made it home, and Gary & Joe got the trunk trimmed, and into the tree stand. Tomorrow we will have fun decorating the tree after school. After the tree was up, we went and got some peppermint hot cocoas and drove around town to see the neighborhood Christmas Lights, we like to do this a few times in December, I love Christmas lights! We came home and relaxed with a bowl of Chicken soup and a holiday show. For dessert I made some yummy Baked Cranberry Orange Donuts. I love my doughnut pans, it is so easy to bake up a batch of nice warm donuts, you can use just about any moist muffin recipe. Here is my Amazon affiliate link for the Donut pans I use. I used my favorite Cranberry Orange Muffin recipe that I found at Foodnetwork.com- here is the link- Cranberry Orange Muffins I did add a half a teaspoon of cinnamon to the recipe to give the donuts a little more of a Christmas Spice taste - also they bake in half the time because the doughnut pan is shallow. 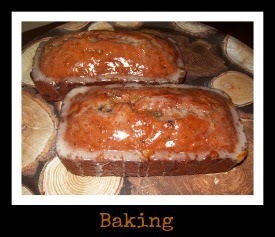 I made the glaze with Powdered Sugar, a teaspoon of vanilla, and Orange juice until it reached a nice glaze consistency. They turned out great and were the perfect treat to finish our meal, I look forward to enjoying one with tea in the morning. I am excited to decorate the tree tomorrow, as well as start getting the house ready for company this coming weekend, the first of our holiday entertaining. What a nice weekend. I love the singing Christmas tree! And your tree is gorgeous and I cannot believe the price. I hope you have a lovely time decorating it! Thanks for linking up to AfterSchool. I love CranOrange everything and those donuts look amazing! 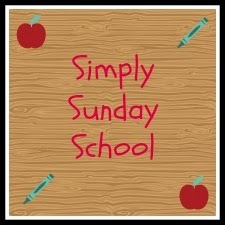 Hi, now follwing via Sunday Social! 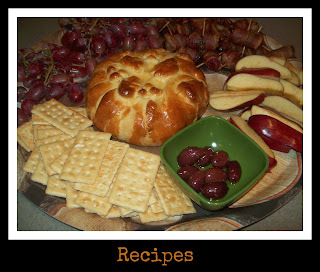 I have a cooking blog and would love a follow back! Have a great week and Merry Christmas. The singing Christmas tree looks amazing. What a brilliant idea! That Singing Christmas Tree is incredible. Wow! 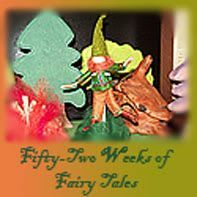 And I love your story of getting your tree from the local farm. It sounds like a great week. 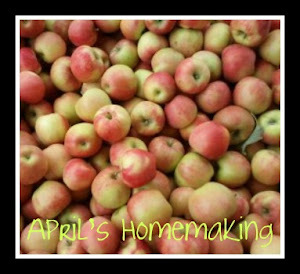 Thanks for linking up to the Afterschool Blog Hop! the doughnut recipe looks amazing. We've transplanted to Colorado from Oregon. Oh how I miss the singing Christmas tree! Those donuts look amazing! Thanks for sharing. Now I really want a donut pan. Those look amazing! The choir also looks spectacular. You must be so proud!!!!! Thanks everyone for stopping by and leaving such wonderful comments! The weather was very frosty this morning, and I am having fun with all of my Christmas preparations. Hope everyone is having a great day! Love the singing tree and the donuts look yummy! So impressed with your giant tree! It looks like you had a great weekend. Visiting from afterschool. Beautiful giant singing Christmas tree...the donuts look amazing.